RUSH: Look at Jake Tapper here, a tweet: “I’ve been talking to a journalist who wants to write a piece about her harassment at a major news outlet. But she’s been warned by multiple people if she writes the piece she will have trouble ever finding work again. Much work remains to be done in this area, sadly,” writes Jake Tapper. So I was trying to figure out: “What network was this?” So I went down the list. What network has not been outed per se with a major figure having to resign or be fired because of sexual harassment? Go to CBS. Charlie Rose. PBS? Charlie Rose, gone. You go to NBC. Matt Lauer, gone. ABC? Anybody from ABC fired or gone because of harassment? Snerdley? 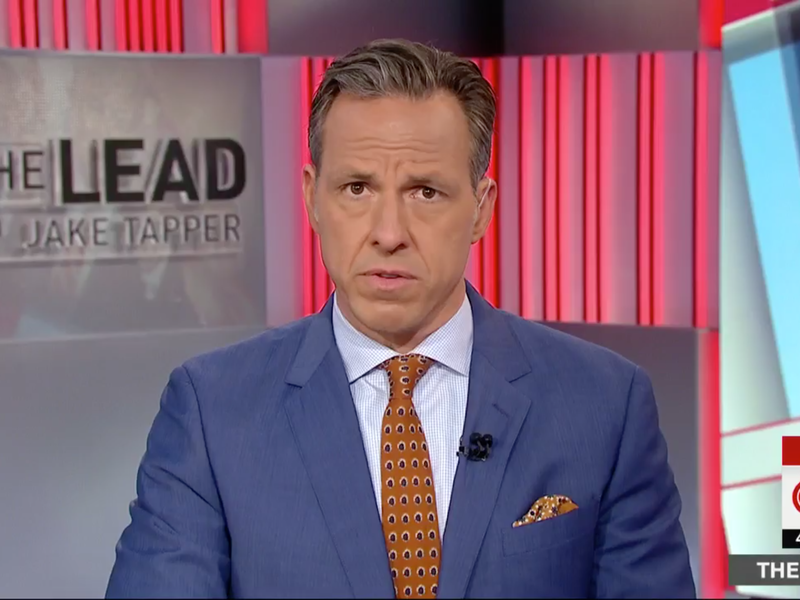 (interruption) Would Jake Tapper drop the dime on his own network? I mean, here’s his tweet: “I’ve been talking to a journalist who wants to write a piece about her harassment at a major news outlet.” Could that be CNN? I mean, he works there. Would he be writing a tweet like this that drops the dime on his own network as a place that would intimidate women that came forward with the story? (interruption) You think he could be? Okay. Then the two possibilities here are ABC and CNN, if you think Tapper would drop the dime on his own network. I’m not sure that he would. I’m looking here at ABC, which means there’s gonna be another shoe drop. This is the prelude to it. They’re gonna be dropping like flies over there! “Over there” meaning at the Drive-By Media. This Franken charade yesterday. You know, it’s fascinating, folks. I gotta tell you, it’s fascinating. Everything. Every point — every brilliant observation — I made is all over the Drive-By Media today in op-eds, in news stories. Every point that I made. That’s gratifying. RUSH: By the way, by the way, by the way, I had forgotten. Jake Tapper’s own producer was fired for sexual harassment allegations. So nobody famous at CNN’s gone, but Jake Tapper’s own producer. Now he’s out there tweeting that he’s been talking to a journalist who wants to write a piece about her harassment at a major news outlet, but she’s been warned not to do it because she’ll never work again if she does it. It’s gotta be ABC. I mean, could it be PBS? Could it be NY1? I mean, who are the major networks left?